Now is a good time to upgrade to something better. Today’s routers are highly flexible, offering user-friendly administrative tools that make them easier to manage for users of all skill levels. This coincides well with the increased speed and higher bandwidth they are able to dole out. 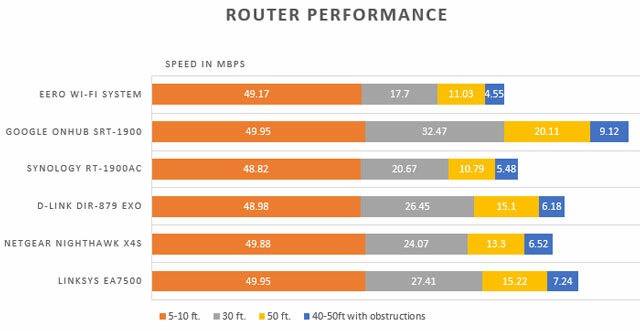 Not all routers are created equal, of course. In finding the best, we determined the sweet spot of price and performance for most people is found in models with a maximum theoretical bandwidth of 1900Mbps. Hence, why the term “AC1900” is prevalent among all of them. This means they are more than capable of delivering the faster speeds required for multi-user households or streaming-heavy users, but don’t have as many high-bandwidth channels as high-end routers do. On our spec checklist for the best router were: dual-band with Wireless-N (802.11n) and Wireless-AC (802.11ac) bands, beamforming technology for boosting a signal to a specific device, app-based controls (and set up), parental controls and guest access. Among the models that met these criteria, six made the cut for testing, based on high ratings from professional and consumer reviewers: the Asus Google OnHub SRT-AC1900 ($164 on Amazon), D-Link DIR-879 EXO ($149 on Amazon), Eero Wi-Fi System ($499 for set of three on Amazon), Linksys EA7500 ($170 on Amazon), Netgear Nighthawk X4S R7800 ($239 on Amazon) and Synology RT1900ac ($149.99 on Amazon). During the test over the course of five weeks, all six routers were connected to Internet Service Providers (ISPs) offering at least 50-100Mbps download speeds to check for speed. And, we set up in two types of residences, a condominium and a house. Who came out on top? In what was a tight contest among a group of very capable routers, the Linksys EA7500 impressed us with its combination of powerful performance, good range, stellar external storage options and user-friendly management software. And, the exceptional EA7500 doesn’t even fully reach its growth potential yet, since it’s future-proofed with some near-in-the-future technologies, like MU-MIMO and Seamless Roaming. 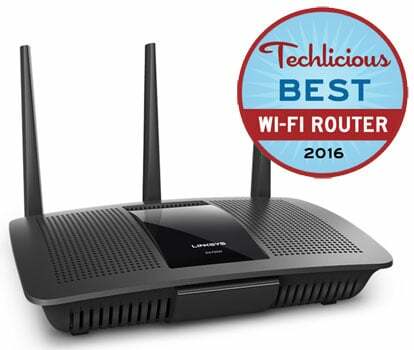 When it comes to aesthetics, the Linksys EA7500 is anything but a beauty pageant winner. With the possible exception of Synology’s unit, all the others look better. Part of the aesthetic is the number of antennas, which vary. 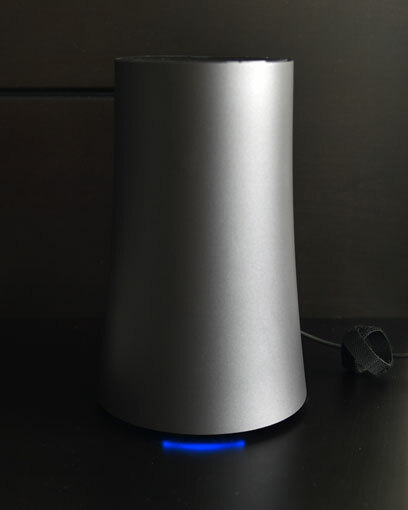 The Netgear Nighthawk X4S and D-Link EXO each have four, the Linksys EA7500 and Synology RT1900ac have three each, and the OnHub and Eero have no visible antennas at all. Routers without visible antennas still have them, only they are inside the unit itself, and exposed antennas have traditionally been used to angle a signal or for boosting it with longer ones. Size also matters, and here, the Linksys takes up quite a bit of space at 10 inches long and 7 inches wide. The Eero overwhelmingly wins as the smallest of the bunch, even though up to three units can be require for coverage throughout a home. The Eero can function with only one unit, but the purpose of the trio is to spread the connection throughout a home that may have connectivity issues or dead zones. The OnHub is the only upright model, taking up less of a footprint on a desk or table, though needing unimpeded height to stand up. The others are more traditional flatbed form factors with flexible antennas. The added size affords the larger models the space to have extra Ethernet LAN ports to connect wired components, along with at least two USB ports for networking external hard drives or printers. The Eero and OnHub are designed with mobile device owners in mind, and neither requires a computer to set up. In fact, the OnHub can’t be set up with one anyway. Setting both of them up takes about five minutes apiece, making each among the quickest routers to set up on the market. The four others do have mobile components, but the setup is made easier when done through a computer (PC or Mac). That’s because they all have more advanced management features than the Eero and OnHub. The process in each case takes less than 10 minutes, and step-by-step guides are easy to follow, removing any serious guesswork to getting started. The Linksys EA7500 stands out here because it offers a nice mix of beginner and advanced features through Linksys’ Smart Wi-Fi browser-based interface. The free Linksys Smart Wi-Fi app for iOS and Android doesn’t present the full breadth of administrator features and options in that it doesn’t provide access to advanced settings, like port forwarding or MAC filtering, for example, but is still well laid out and easy to use, even when not at home. Multiple Linksys routers set up under an account and all their respective network bands are accessible, meaning we could help manage a relative or friend’s Linksys router, if need be. We also liked that Linksys updated the firmware on the router automatically. We didn’t even notice. The others have the option to download firmware automatically, though we had to do it manually with the D-Link EXO, Google OnHub and Eero. All six routers offer the option to have a guest Wi-Fi network, with a different name and password, that visitors can log into. This way, they can access the Internet, yet have no way of accessing the network or router administrator features. We mentioned the user-friendliness of the Linksys Smart Wi-Fi browser and mobile apps, and that extends to setting up more advanced features. For instance, Media Prioritization is useful for putting up to three devices at the top of the queue to get available bandwidth first before anything else. MU-MIMO will make that less relevant but for now, it’s a great feature in a crowded home. Parental controls are fairly standard with routers nowadays, and the setup doesn’t deviate much, either. You can block certain websites, or block Internet access for a certain user if they are logging in to a shared computer on their own account, or a specific device entirely at all times or within set intervals. Websites can also be blocked, though it’s not easy to block a whole category of sites, like adult or hate sites, for example, as they would need to be added one-by-one. Moreover, blocking social media sites that use https is also problematic. This affects all the routers, so it’s not prone to one over another. The result is that, while Facebook, Twitter and Instagram could be blocked with the http prefix, those sites also use https, which are tougher to block because they are more secure connections within the browser. 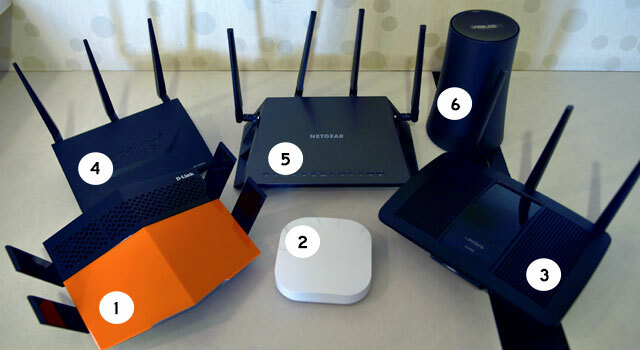 Setting up a guest network is easy on all six routers, so there isn’t a major differentiation that sets any of them apart. In keeping things simple, the Eero and OnHub are thin on management features, while the Synology router may offer too many to understand for the average user who isn’t otherwise acclimated to the company’s products. The other three are more laden with options, but Linksys has them beat on simplicity and navigation. 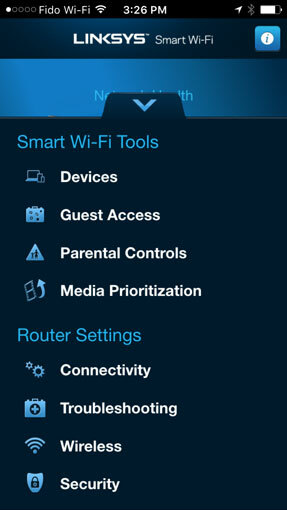 To sum it up, basic features and options, like the network map to see what is connected, parental controls and Wi-Fi settings are always available. More advanced features that include port forwarding, dynamic routing, firewalls, static IPs and others are there to use, but do require some know-how to configure, and may not be necessary to set up for the average user. This is where things got tight. Previously, some Linksys routers struggled with range on the faster 5GHz band, but we were more than satisfied with how the EA7500 performed. The 2.4GHz band, which we used primarily with legacy and low-priority devices, also showed stellar results. Within 10 feet of the router, we were hitting very close to the top speed of 50Mbps on the house Internet connection. When moving 30 feet away with a floor or wall in between, the connection remained fairly steady with about 25-30Mbps. Being a multistory house, we were impressed to get the same speed (both in download and upload) in the bedroom with the router in the basement. In fairness, the Asus Google OnHub performed the best in our tests and the D-Link EXO more than matched the EA7500 until we got to the bedroom, where we experienced a precipitous drop down to 15Mbps. In the condo, the Nighthawk X4S blazed up to the 100Mbps connection coming from our ISP. The Eero casts a nice connectivity web using its three boxes, except it can be adversely affected when the units don’t have line of sight with one another, and so, we noted that speed halved when the second unit was set up one floor above the first. The other factor in the EA7500’s performance is that it only truly hits its full potential when MU-MIMO is used, even though it outperformed most of the others in this test without it. Short for multi-user, multi-input, multi-output, the general premise is that compatible devices are prioritized in bandwidth equally and simultaneously. Basically, the way it has been with routers to this point is that devices get the bandwidth they need in a queue. You wouldn’t understand that it’s happening, but it does, and that can sometimes lead to slowdowns or buffering if there is a lot of network traffic. 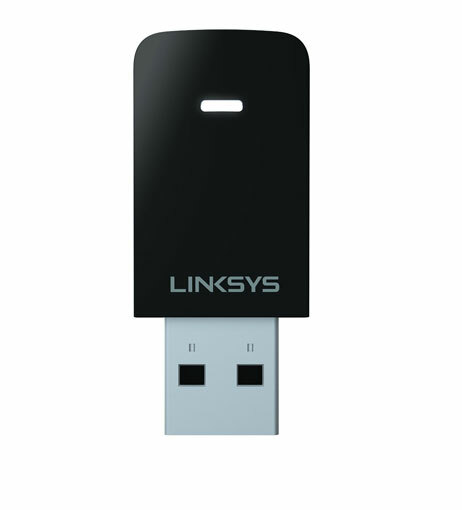 While devices supporting the new protocol aren’t really available yet, it is possible to use a Linksys MU-MIMO USB adapter ($50 on Amazon) on a Windows PC to make it work. Mac computers will likely be compatible in the fall, though it’s not clear how many years back that compatibility will go. We tried it on a Dell laptop and loved the fact we were able to consistently get faster speeds at the same distances. Having the feature does future-proof the EA7500 a little, since new devices that will support the new standard moving forward should make the router even more efficient. The most interesting router in this regard is Synology’s unit for its network attached storage (NAS) features, which is what Synology is known for. Plugging in an external hard drive or SD memory card turns the drive into a server that makes the contents accessible via Synology’s apps for mobile devices and the Roku. For example, video files will be seen in DS Video, while documents would show up in DS File. If you’ve used Synology servers and the Diskstation Manager software that goes with them, all of it will feel very much the same. The drive would also be accessible under “Shared” in Finder on a Mac or through Network Devices on a Windows PC. Drives connected to the Linksys and Netgear routers are also accessible under “Shared” in Finder on a Mac or through Network Devices on a Windows PC, though we did run into some issues with the Nighthawk X4S on an older MacBook Air, which couldn’t see it in the Finder. Linksys outpaced the others with faster data transfer speeds on a 500MB external hard drive plugged into the USB 3.0 port, sometimes doubling the competition. Netgear consistently trailed behind enough to notice a difference. The OnHub and Eero have lone USB ports, but neither allow for storage expansion or networked devices, so they’re otherwise non-functional. The D-Link EXO doesn’t even have a USB port. This group is really a testament to how much better routers have become as a category, and that does include some calibration in who they’re for. For example, the Eero and OnHub are capable models, clearly aimed at consumers who want the basics on setup, with reliable performance that covers a home. However, they are pricey for what they offer. The Synology RT1900ac may not have emerged as the winner because it’s not quite as robust and needs more time to navigate and get comfortable, but it is a winning product, in many respects. A good price for its performance and network storage features, it’s a solid alternative. The Netgear Nighthawk X4S is robust and a solid performer, yet couldn’t quite match its rival at Linksys in all categories. It also needs a better mobile app for management and to make it easier to backup a computer regularly using Time Machine on a Mac. The D-Link DIR-879 EXO has a sleek design, and offers great speed, but needs a better user interface to manage the router. The lack of any USB ports is another noticeable omission. Professional reviewers have come away with positive impressions of the Linksys EA7500 and its overall value proposition. And customers on Amazon have expressed their satisfaction on the same merits, collectively rating it 4 out of 5 stars with more than 125 customer reviews. All told, the Linksys EA7500 offers the best overall mix of performance, usability and connectivity, especially for the price. For those who are new to setting up routers, the settings are easy to find and adjust. It is an excellent choice for any home that needs an effective router and it still has room to get even better with its compatibility with upcoming technologies.